KuCoin is extremely proud to announce yet another great project coming to our trading platform. 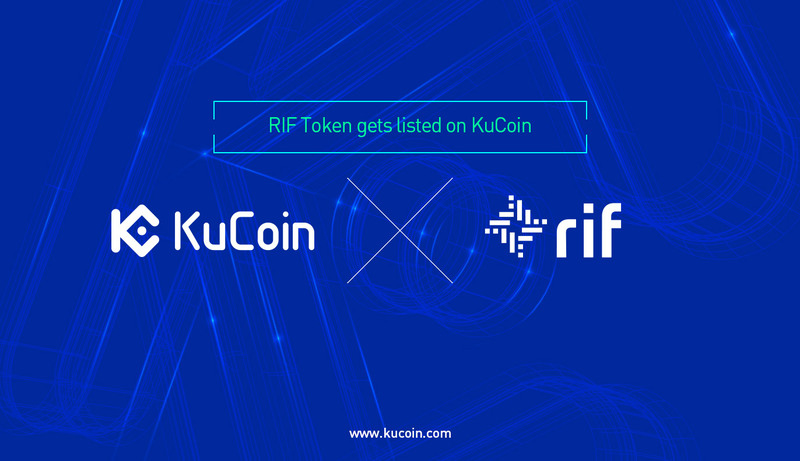 RIF Token (RIF) is now available on KuCoin. Supported trading pair includes RIF/BTC. RIF OS (Root Infrastructure Framework Open Standard) is a suite of open and decentralized infrastructure protocols that enable faster, easier and scalable development of distributed applications (dApps) within a unified environment. The RIF Token is intended to allow any token holder to consume any services that are compatible with RIF OS Protocols. Such services may include third party-developed infrastructure services, and any other apps that might be deployed on our framework that agrees to accept RIF Tokens as a means of accessing / consuming the service or app. Also those providing infrastructure services in the RIF OS Marketplace will be required to deposit a certain amount of RIF tokens that will be locked and used in case the service level agreement with users is not fulfilled.